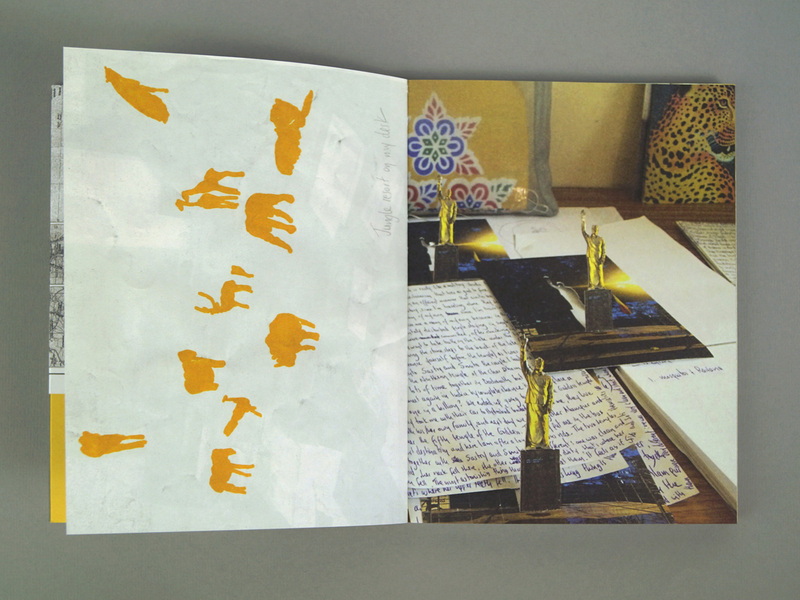 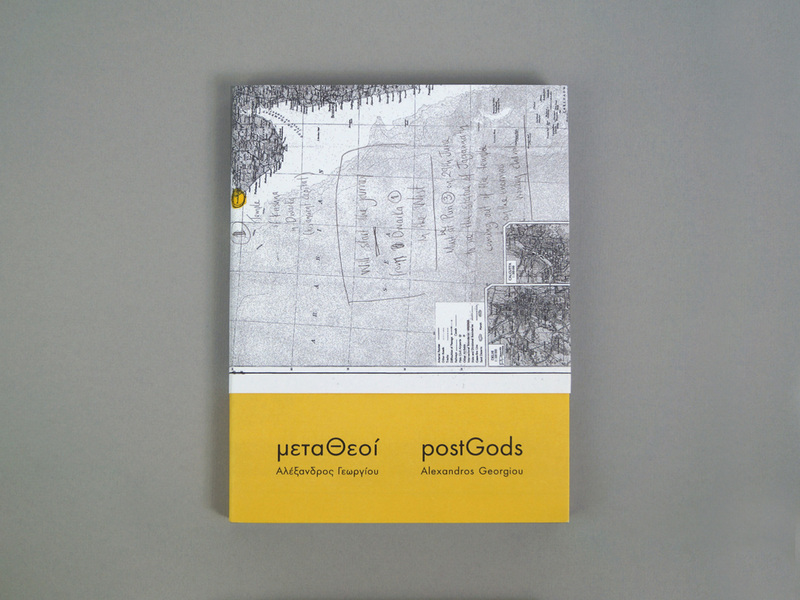 Catalogue design for Alexandros Georgiou’s art exhibition, “postGods”, at the Benaki Museum of Islamic Art in Athens. 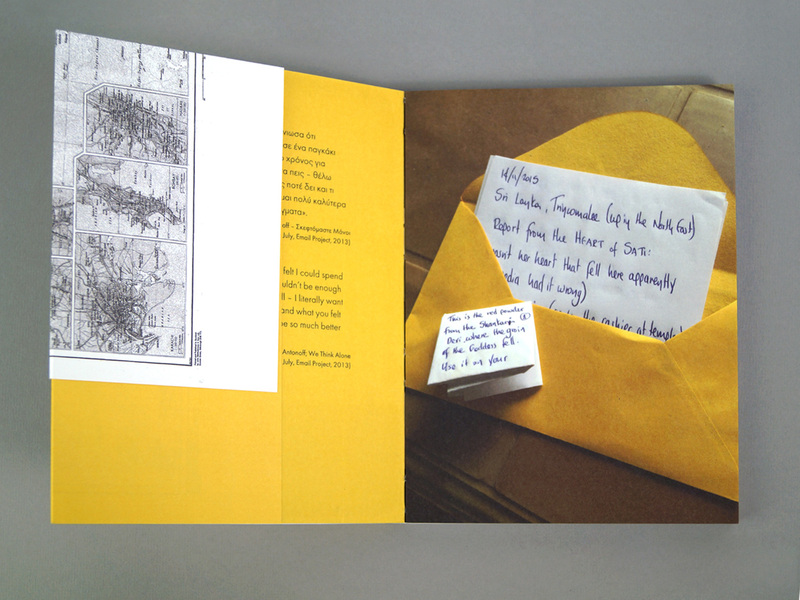 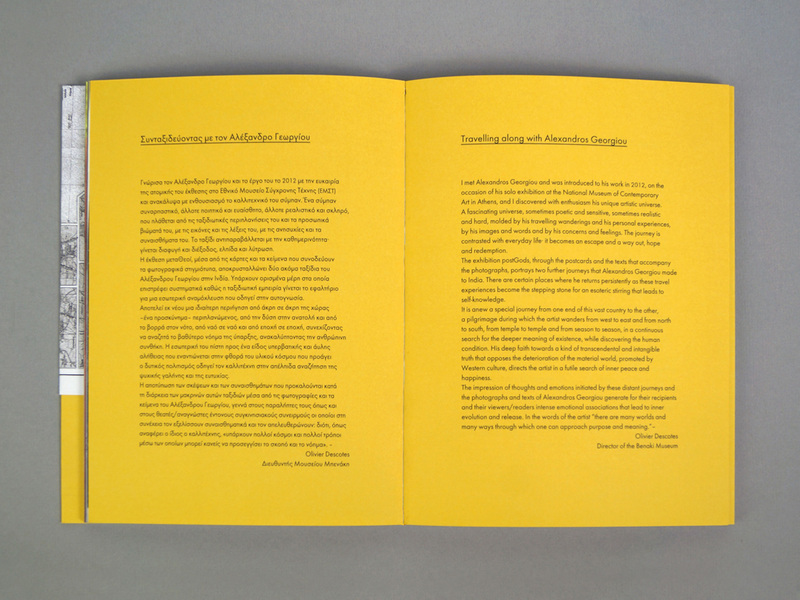 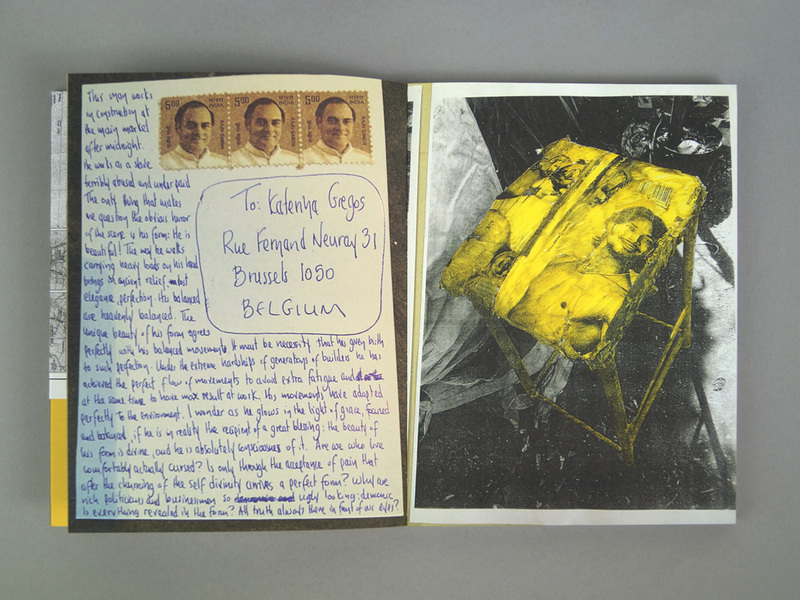 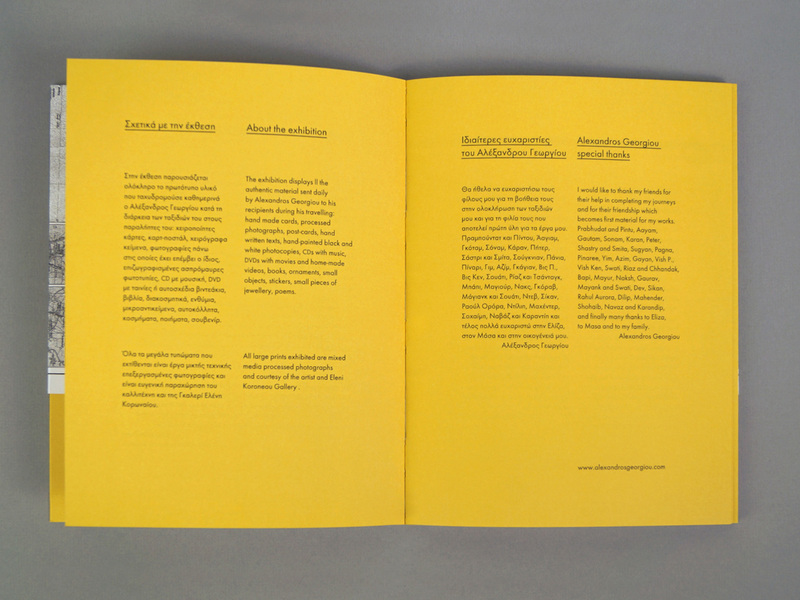 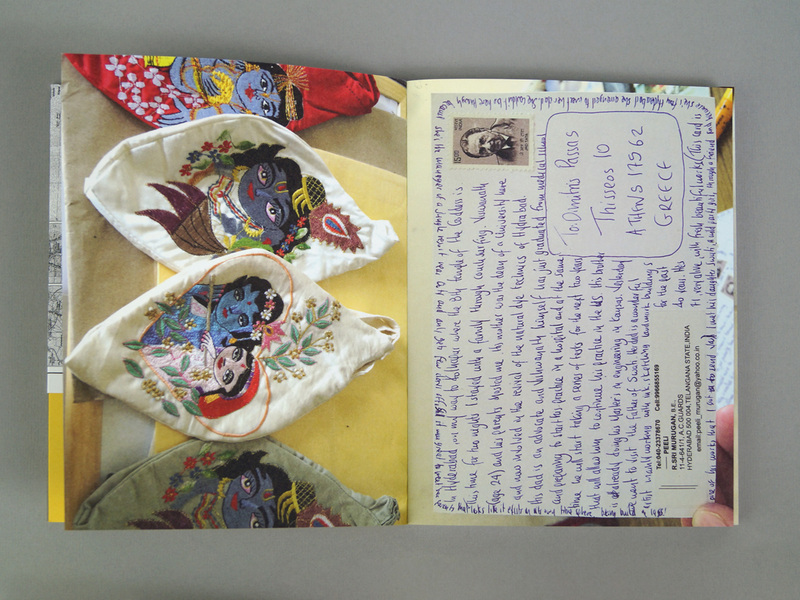 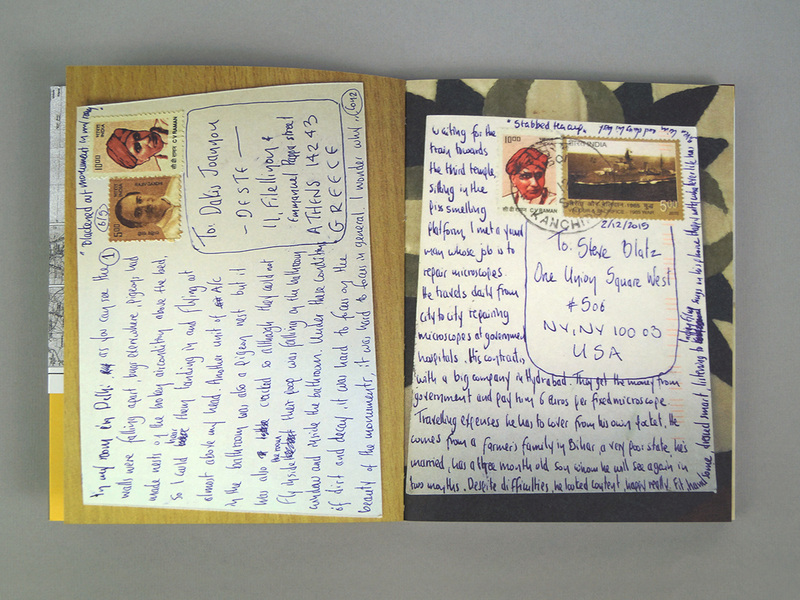 The creative concept was to make a publication that feels more like a traveler’s diary than a typical exhibition catalogue. 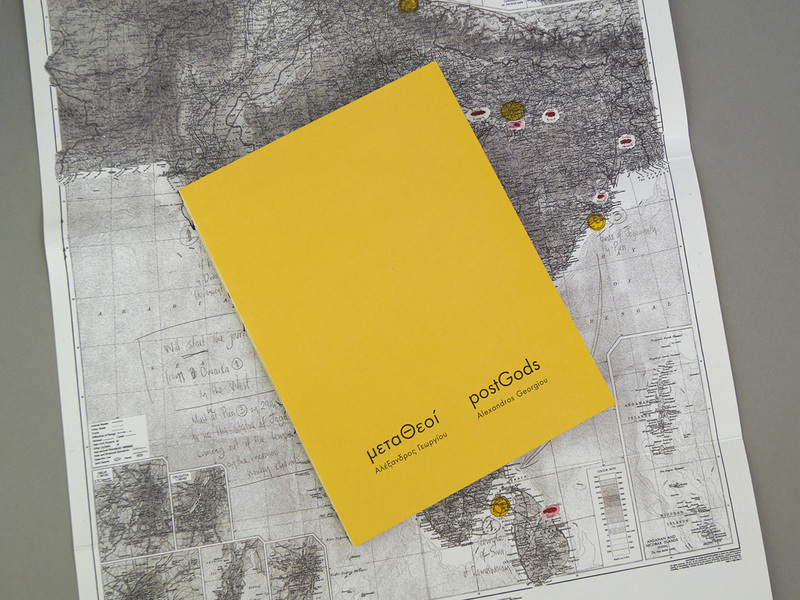 The cover shows a folded map of India with markings indicating all the places visited by the artist. 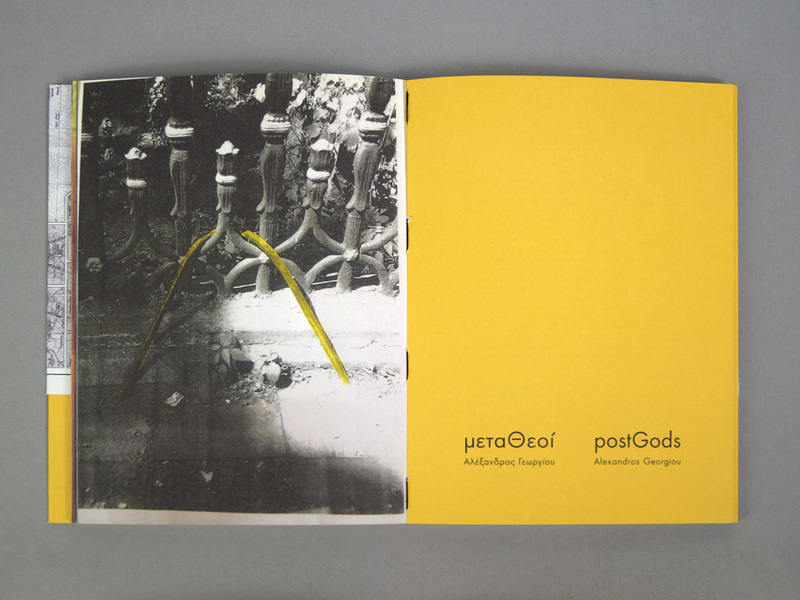 Acknowledged with an “EBGE” merit for art catalogue design.